California’s agriculture sector has exceeded expectations during the most severe drought in recorded history at the cost of massive but unsustainable groundwater pumping, which has shifted the burden to others, including current and future generations forced to dig deeper wells, find alternative drinking water sources, and repair infrastructure damaged by land subsidence. 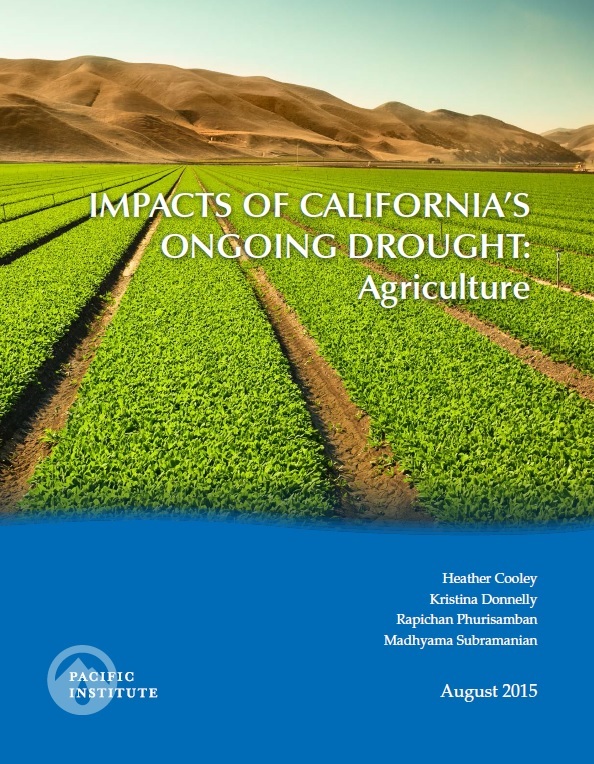 That is the conclusion of the Pacific Institute’s groundbreaking and comprehensive new study, Impacts of California’s Ongoing Drought: Agriculture. The study finds that while last year farmers harvested 640,00 fewer acres, agricultural revenue from crop production in 2013 and 2014 were the highest and second highest, respectively, in California history. Statewide agriculture-related jobs also reached a record-high of 417,000 people in 2014. However, the drought is likely leading to serious job losses in communities with extensive fallowing. The study provides a critical insight into how the state can maintain a healthy agriculture sector in a future likely to see less water, more extreme weather, and greater uncertainty. Download the full study here. The UN Global Compact’s CEO Water Mandate and the Water Integrity Network (WIN), in collaboration with Deutsche Gesellschaft für Internationale Zusammenarbeit (GIZ), Water Witness International, Partnerships in Practice, and Pegasys, released the first comprehensive guide for how to form multi-stakeholder water stewardship initiatives that have high integrity. The guide recommends good practices for developing water stewardship initiatives in an inclusive and transparent manner that ensures sustainable water management. 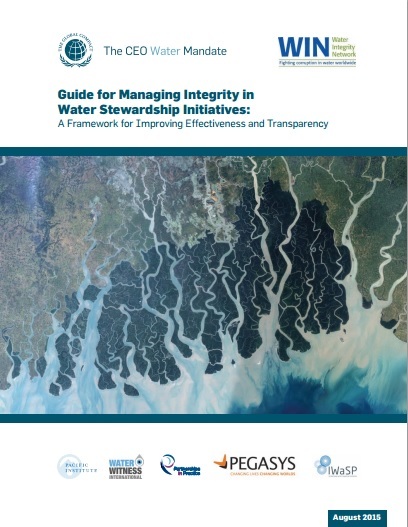 Launched at its annual meeting during World Water Week in Stockholm, Sweden, the Guide for Managing Integrity in Water Stewardship Initiatives: A Framework for Improving Effectiveness and Transparency is available in both a PDF report and as an interactive online tool. The Pacific Institute’s Corporate Sustainability team facilitated a working conference of the UN Global Compact CEO Water Mandate during World Water Week 2015 held in Stockholm, Sweden. World Water Week is an annual conference that attracts international water professionals from academia, government agencies, nonprofit organizations, and the private sector. This year is a pivotal year for water stewardship and the international development agenda as the field turns its attention from the Millennium Development Goals to the forthcoming UN post-2015 Sustainable Development Goals (SDGs). The SDGs for the first time include a goal dedicated to water and sanitation. The team will lead multi-stakeholder discussions and advocate for effective coordination and collaboration between the public and private sectors to achieve the water-related targets set out in the SDGs, which include access to water and sanitation for all, water efficiency and pollution prevention, healthy ecosystems, and integrated resource management. The CEO Water Mandate’s Water Stewardship Toolbox is a new online platform that connects prospective and active water stewards to information and resources they need to build their stewardship practices. The toolbox compiles, categorizes, and describes a wide range of online tools, guidance, discussion papers, and other stewardship resources developed by the CEO Water Mandate and others. 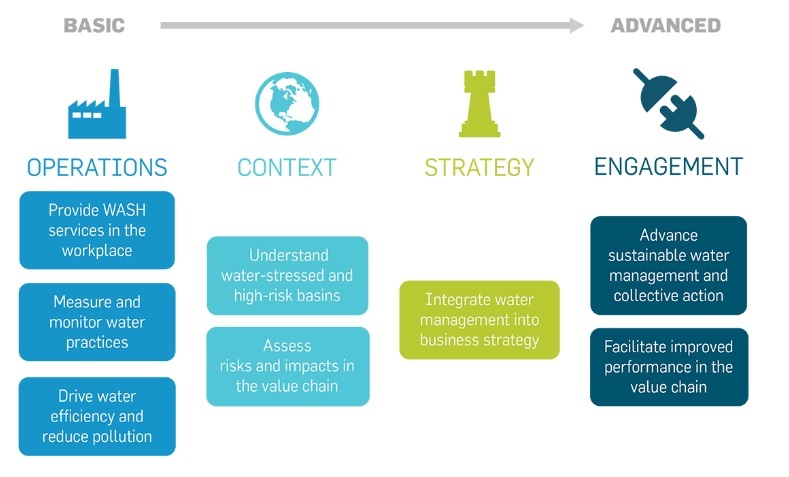 Oriented around the CEO Water Mandate’s Water Stewardship Progression, the toolbox helps companies identify what types of stewardship practices are most valuable and appropriate to them given their own unique circumstances and experience with water. The toolbox will continuously evolve and expand over time to reflect cutting-edge stewardship practice and emerging tools. The toolbox resides within the CEO Water Mandate’s new, revamped website. From the website, users can also connect to the website’s many other features, including information on the world’s water challenges, the business case for water stewardship, upcoming CEO Water Mandate events, the Water Action Hub, and a new water stewardship blog. 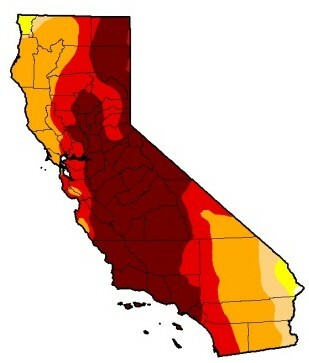 Past drought updates covered California’s residential water use trends for the month of May, drought legislation that were making their way through the halls of Congress, and extreme wildfires. VERGE 2015, taking place in San Jose, California. Peter Gleick and California State Water Resources Board Chair Felicia Marcus will participate in a point-counterpoint discussion on overcoming California’s drought. In July, Pacific Institute staff gave talks at a variety of public events. For example, Peter Gleick was in conversation with KQED’s Science Editor Craig Miller at the San Francisco-based World Affairs Council. Their conversation, “Not a Drop to Drink: Dealing with Drought”, can be seen here.